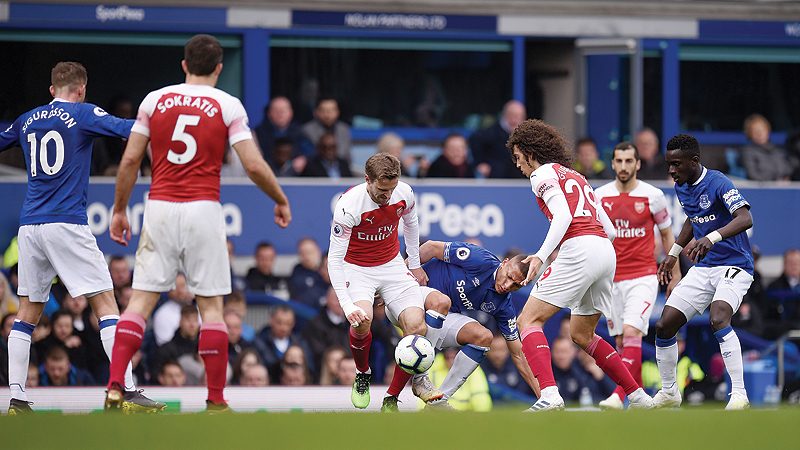 LONDON: Arsenal’s hopes of a top-four finish in the Premier League were dented yesterday as Everton captain Phil Jagielka took advantage of an unexpected late recall to score the winner in a dominant 1-0 victory at Goodison Park. 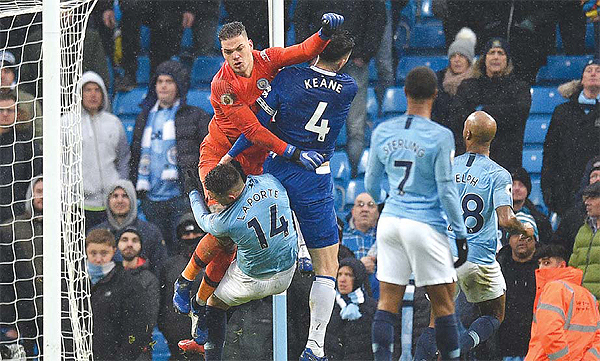 It marked a significant setback for disappointing Arsenal, who remain fourth in the table but missed an opportunity to leap ahead of their third-placed north London rivals Tottenham Hotspur. Unai Emery’s side stay on 63 points, one behind Spurs, level with fifth-placed Chelsea and two clear of Manchester United in an increasingly tight battle for the Champions League berths. “I’m not normally a match-winner, full stop,” laughed the former England defender on Sky Sports. “They’re the best goals, the little tap-ins from two or three yards.” His goal signalled a hungry and aggressive display from Everton who, while moving up to ninth on 46 points, could have won far more convincingly if Gylfi Sigurdsson and Richarlison had converted any of the side’s 23 attempts on goal. Arsenal’s frustration became obvious when the two managers were involved in a brief confrontation in the second half. “The football is emotional. He wants the best for his team, I want the best for mine. At the end we spoke together and everything is normal,” said Silva.